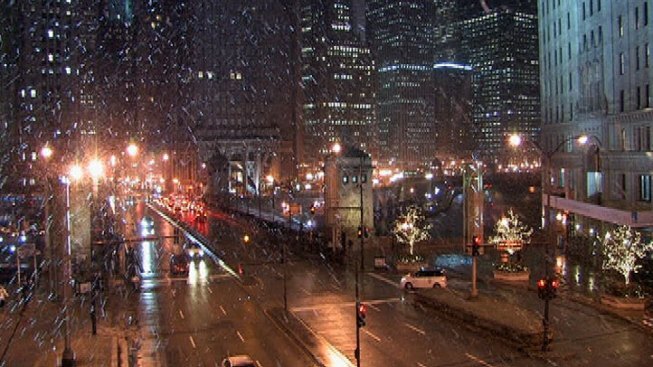 Snow fell on Chicago's Michigan Avenue on Wednesday afternoon. Bitter cold, near-record warmth, unseasonable rain and snow. That sums up Chicago weather in just the last few days. The area saw less than a half-inch of snow Wednesday, but that dusting of the white stuff finally put the city above the 3-inch mark for total snowfall this winter. 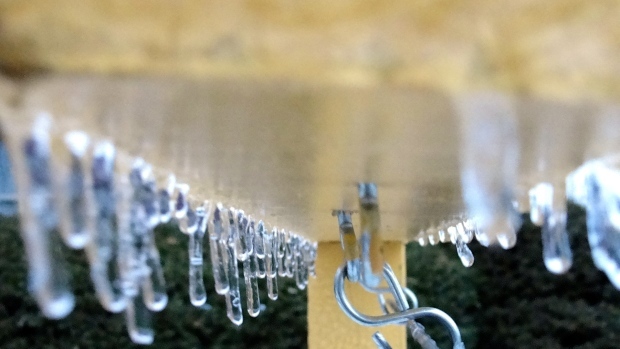 Forecasters said 0.4 inches of snow had fallen at O’Hare Airport as of 6 p.m. Even so, Chicago’s stingy snowfall has resulted in the lowest season total through Jan. 30 on record, according to the National Weather Service. During the evening commute, the city sent 199 plows onto Lake Shore Drive and the main routes, and advised drivers to be cautious. The Illinois Tollway also deployed its full fleet of 182 trucks. Meanwhile a Flood Watch remained in effect in many counties as residents there recovered from between one and two-and-a-half inches of rain that fell Tuesday and Wednesday. Snow flurries were expected to continue into early Thursday. Additional accumulation wasn't expected, but blowing snow could reduce visibility for drivers north of Interstate 88. Aside from the blowing snow, temperatures were falling. The sun comes out Friday but won't bring much warmth as highs only reach 10 degrees with a below-zero wind chill. Light snow develops overnight into Saturday. On Tuesday, Chicago barely missed a new all-time record for high temperatures in January.